The annual Perthshire Open Studios (POS) is a nine day event starting Saturday 5th September and involves artists and makers throughout Perthshire and Kinross-Shire. This established event is known for the quality and variety of art and crafts which can be seen from artists studios, garages, kitchens and various workspaces. This year there are 2 Showcase Exhibitions, one at The Bield at Blackruthven and the other at Pitlochry Festival Theatre, both exhibit work from the Members and Friends of POS which makes a great starting point for exploring the Open Studios. 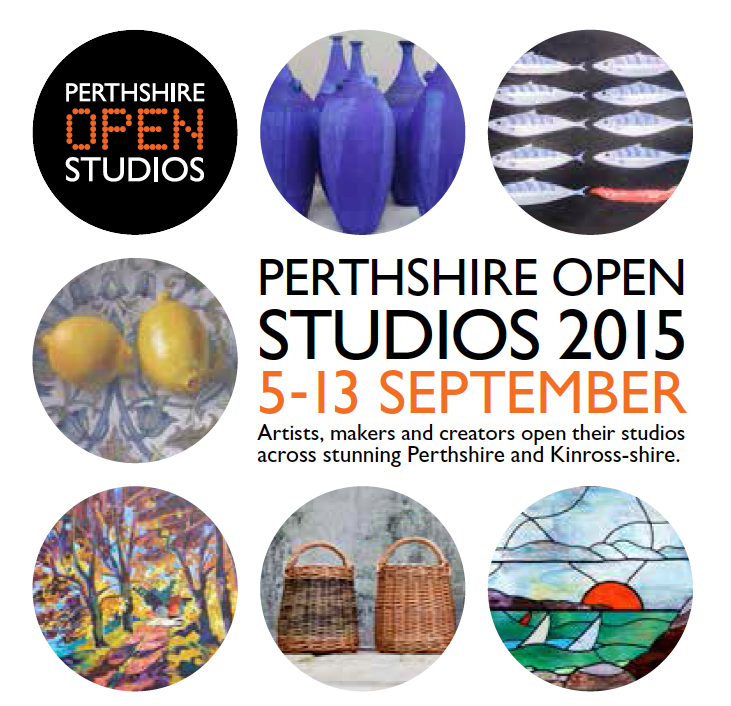 Perthshire Open Studios 2015 from Dave Hunt on Vimeo.